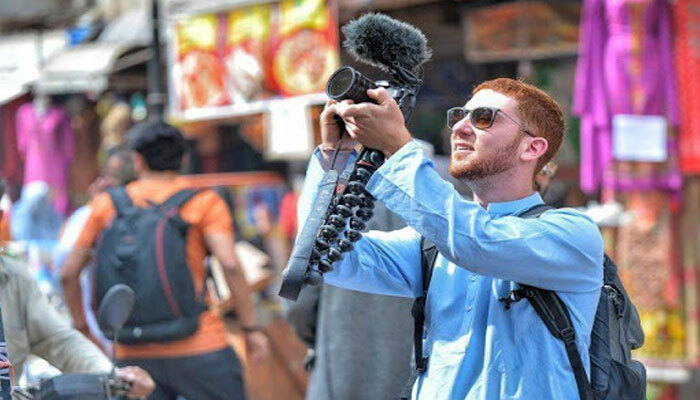 Widely recognised American travel blogger and YouTube star, famous for his expedition of travelling to all countries across the globe, became the first tourist ever to travel to Azad Kashmir Pakistan without a permit during his recent visit to Pakistan. Documenting this experience in a video posted on his social media account Drew mentioned that he’s the first tourist in the world who has traveled to Azad Kashmir after Pakistan lifted its NOC requirement for tourists, previously required to travel to certain parts of Pakistan for outsiders. Earlier, on 26th March Information Minister Fawad Chaudhry announced that the government has planned to lift restrictions on visiting sites for foreign tourists. In the video Drew talked about Azad Kashmir, highlighting the history and how it became a disputed territory. He went on to deem the place as one of the most beautiful places he's seen. Drew was however bashed by Indians fans for stating Azad Kashmir as Pakistani state and hurting their sentiments. Drew in his early videos about Pakistan also shared some facts to highlight its positive image by saying that ‘Pakistan is the most hospitable country’, he also mentioned that since he came to Pakistan he hasn't spent his any money because no one in Pakistan has allowed him to pay due to the hospitable nature of the people here. Meanwhile, the Pakistani government is making several changes in its visa and traveling policies to attract tourists from all around the world. In this manner travel bloggers like Drew are helping through their content to create a positive image of Pakistan around the globe. At 27, Drew Binsky, has been to a record 162 countries across the globe after taking on the baton of shattering stereotypes and pre-conceived notions about places that are deemed as relatively unsafe. Not just this, by visiting and exploring the unseen parts of these states, Drew aims to highlight the image about this side of the world that does not persist in the media. The hospitality in Pakistan is the absolute best in the world. This video explains why.